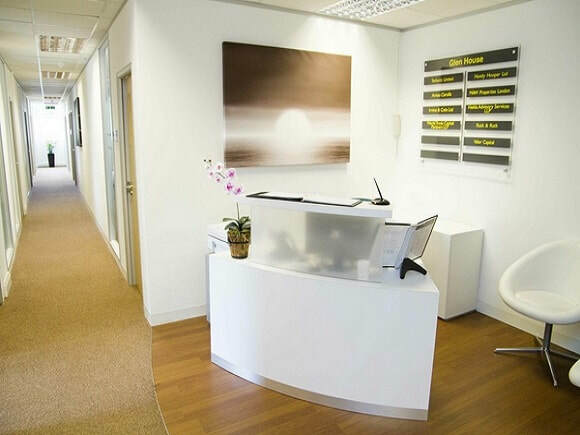 Recently Old Brompton Road serviced offices offer a range of suites of many sizes ideal for growing companies. The business centre is located in the SW7 region of London and has good transport links close by via Gloucester Road, South Kensington and Earl's Court tube stations. With Cat 5 Cabling and fast broadband, these offices are complete with furniture and telephone handsets, which are inclusive of the monthly rent. Boardrooms and meeting rooms are also within the building ready to hire prior pre-booking. Boasting good natural light, office space can be occupied on flexible term agreements starting from 3 months and increasing to 12 months. Security systems are also in place at this office rental.